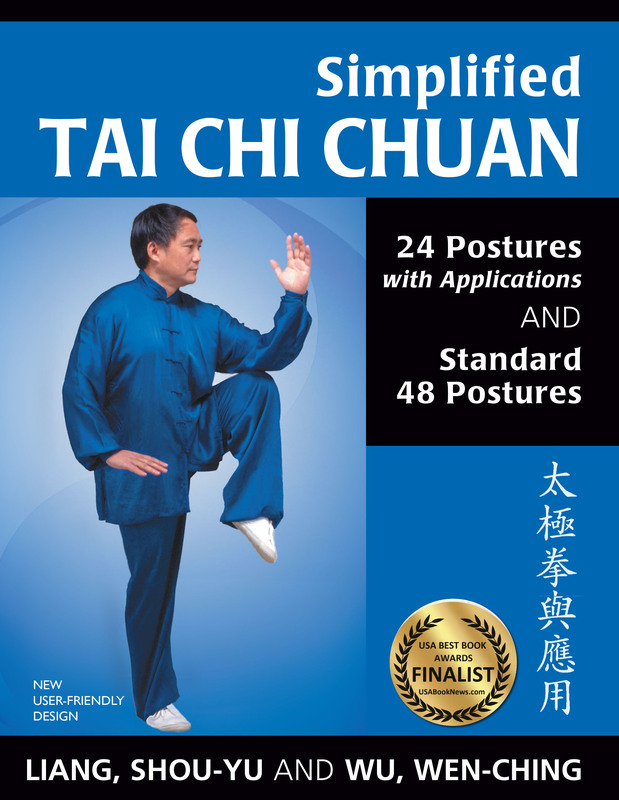 This book is designed for self-study and can help you learn both the Simplified Tai Chi 24 Posture form and the Simplified Tai Chi Chuan 48 Posture form quickly and accurately. We've doubled the size of this book! A new layout that guarantees easier learning. Larger photographs, step by step instructions for each movement right under the photos! This revised edition of our best selling beginner Tai Chi Chuan book includes a new and modern easy-to-follow layout. Every tai chi movement is presented in 2-4 large photographs with clear instructions, followed by key points to help you learn properly. Simplified Tai Chi Chuan 24 Posture is one of today’s most popular tai chi forms. Once learned, it can be performed in only six minutes. If you are learning tai chi in a school, a fitness club, a community or recreation center, or even the local park, this is the tai chi form you are likely to encounter. The martial arts applications for each posture are shown so you can understand that every movement has a purpose. Simplified Tai Chi Chuan 48 Posture is a popular tai chi form practiced by those who want a longer, more challenging sequence. Once learned, it can be performed in only twelve minutes. The forty-eight posture form is often the next form a student studies after learning the twenty-four posture form. No matter your age, tai chi chuan is a wonderful way to improve your health and well-being. If you arrived at this page from a QR code found on the back of the book Simplified Tai Chi Chuan 24 & 48 Postures with Applications 3rd edition you are in the right place. Here are a few videos to help you see the Simplified 24 Posture Tai Chi form in action. The DVD (150 minutes long) provides all the movements found in the book, the Simplified 24 Posture form, the Simplified 48 Posture form, and many martial arts application. Enjoy! Grandmaster Liang Shou-Yu demonstrates the complete form. Learn basic Tai Chi concepts. Each movement has a martial arts application.